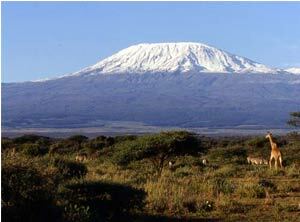 Affectionately known as the "Coca-Cola route", Marangu is by far the most popular route to the summit of Kilimanjaro. This could partly be as a result of the fact that the Marangu is the least expensive route, but more so, perhaps the fact that it is possible to do the Marangu route in 5 days, thereby getting to the summit one day earlier than on the Machame route. This is not always the best way due to a shorter acclimatisation period. The Marangu route does however offer you the option of spending an extra acclimatisation day on the mountain. This extends the route to a 6-day march, greatly increasing your chances of success. Hut accommodation on the Marangu route forms one of the main differences, compared to the other routes. It offers you the relative luxury of being able to sleep in huts along the entire route. Mineral water, soft drinks, chocolates and beers are also sold at all the camps on this route. All your equipment and supplies are portered and a cook prepares all your meals.